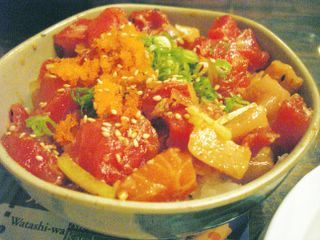 Do you think its possible to get a poke bowl with only tuna? I think so. They are pretty accomodating. The waitress came around every five minutes to check if we were okay. Very friendly and warm staff. Nice neighborhood place! In many places the "atama" (head) of the Amaebi is better than the shrimp itself. Too bad the nigiri wasn't up to par, I pretty much never order a Nigiri Platter at a sushi bar - it tends toward the generic, or what they have an ample supply of. I don't think $4.50 is too much to spend for Amaebi - especially by San Diego prices! You know, because of the availability of excellent fish in LA, when we lived there I used to just make my own Poke - ended up being better than almost every other place. This was the first time I've actually ordered a sushi platter from any place, and it will be the last. It's good to know I wasn't being ripped off for the amaebi. I don't order it often because I often think that I'm being gouged. You can get everything you need from Marukai! Don't forget the Ogo! Ahhh! I missed that post! The fish is pretty fresh. 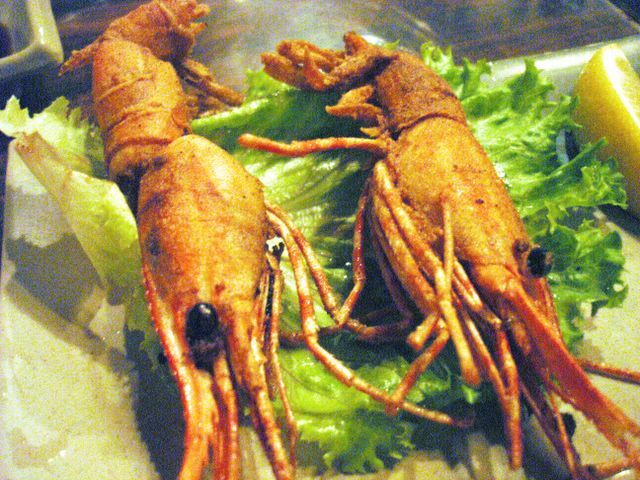 I think in general the fish at Tommy's is fresh since they get a lot of turnover. The place is always busy. 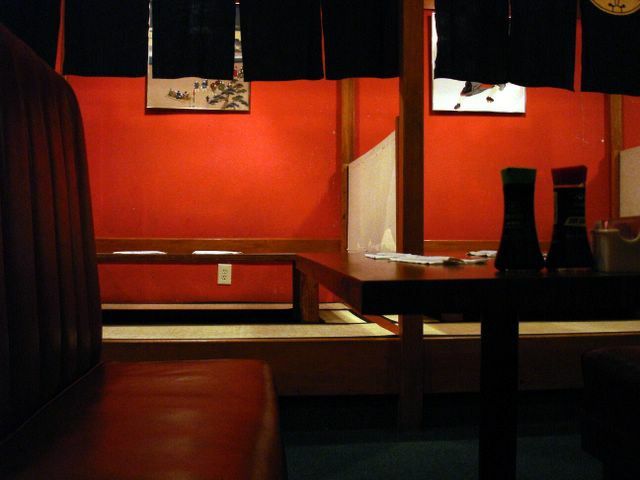 Beware of sushi places that are not busy. oh man. i can't wait to get back to california. you really do have the best sushi over there. though i've HEARD that sushi is better in la than in san francisco. Thanks for visiting! I've not had sushi in S.F., but L.A. sushi is definitely great. 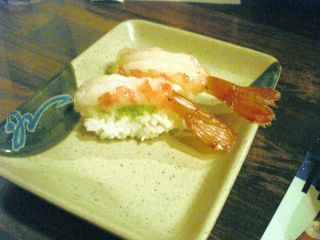 Someday, when I have a few thousand bucks to blow, I'm going to Urasawa; the ultimate of all sushi joints outside Japan. "Like divine pork rinds of the ocean..." Sign me up!! There I was, googling for a recipe so I could recreate the Poke Bowl from Tommy's Sushi.... and I found your blog! I lived in Tustin for about 10 years and that was my favorite thing at Tommy's. Now I live in Houston and am seriously jonesing for sushi.... Since you so nicely listed all the contents of the Poke Bowl, I can try to recreate it at home. Thanks for your post! Glad you found me! Hope your poke comes out well. But Tommy's truly does the best poke that I've ever tasted. Of course, I've only had poke at two places; one I hated and the other was Tommy's. 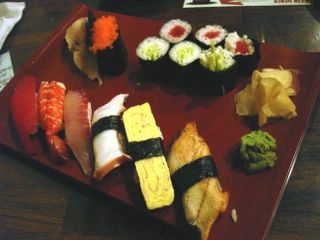 I've eaten at many sushi restaurants, including Shibucho and I'd rate Tommy's very high. My reccomendation would be to always eat at the sushi bar if you can. If you go to Tommy's try the "Clam Pizza" (served hot) or the "Caterpillar Roll". These are very creative items and they are great. Their Toro and Salmon sushi are excellent as well. Another very good place is "Sushi Itto" @ 498 E. 1st St. in Tustin. OMG dude. I used to live in Orange County and LOVED Tommy's Sushi. About a year ago I moved to Fresno and I STILL make the 5 hour drive JUST to eat at Tommy's. I have never had sushi anywhere else as good as Tommy's. the (wife) loves the Crunchy Roll here better then anyware else. they have great prices too! my weakness is the deep fried french toast! Elmo, you couldn't be more right about the poke bowl. Delicious and addicting!! My other favorite from Tommy's would have to be the Spicy Scallop Hand Roll. Tommy's uses the large scallops and keeps them whole within the hand roll. Definitely my weakness. Tommy's is extremely dirty and we have called last night our very last time at Tommy's. That place should be shut down and I do not trust anything that comes out of that place! I'm reporting that restaraunt to the OC Health Dept! Yes you can, I get it that way all the time. I am a tuna only person LOL. Tommie's is by far the best sushi I've ever had. If you loved the poki bowl, try the "bronco roll" you won't be disapointed. Also, if you're daring, ask "Kinsan" to prepare an oyster shooter for you "with the show" (you must be at the bar for this one). You haven't experienced Tommie's until you've seen "the show". As far as having it closed down. Please, just don't go back. It's a great, and friendly place. Tommy's is wonderful! Poke Bowl is the best. But the Paradise roll and the stuffed Jalapenos is awesome as well. Paradise roll is basically the cucumber skin roll, but the stuffed jalapenos, is the japanese peppers (shishito), stuffed with chopped tuna and masago and then deep fried. Definetely worth trying! Tommy's in the BEST! The chef's have all been there for YEARS, they remember everyone and try to have fun with everything, I LOVE THIS PLACE!!!! I went to Tommy's for the the first time the other night. Our host asked us if we wanted "fun" sushi or "good" sushi. We opted for fun and it turned out to be the right choice. The Poke Ball was awesome but best of all were the chefs who made it a night we will be laughing about for a long time. Tommy's rocks.